The graduation ceremony for the closed Busoga University, which was set to take place last Friday, November 30th hangs in balance after being pushed to a yet to be communicated date. This is the second time Busoga University is postponing this year’s graduation as it had earlier set October 30th and later November 30th. According to Job Mwegombi, the university’s dean of students, the ceremony was postponed due to the Minister of Higher Education, Dr. Chrysostom Muyingo’s exercise that included screening all students’ academic documents for authenticity purposes. “We have been sending messages to all students; you mean you never received a message postponing the graduation? The new date will be communicated after the validation exercise is complete,” Mwegombi said. It should be noted that the university had earlier postponed the graduation ceremony to allow all its students clear their graduation fees as well as tuition balances. Patrick Kayemba, the Iganga District Chairperson (who also sits on the transitional committee) says that the ongoing screening exercise is aimed at relocating continuing students as he warned that this (postponing) could be an excuse by the university after collecting graduation fees from over 300 students. 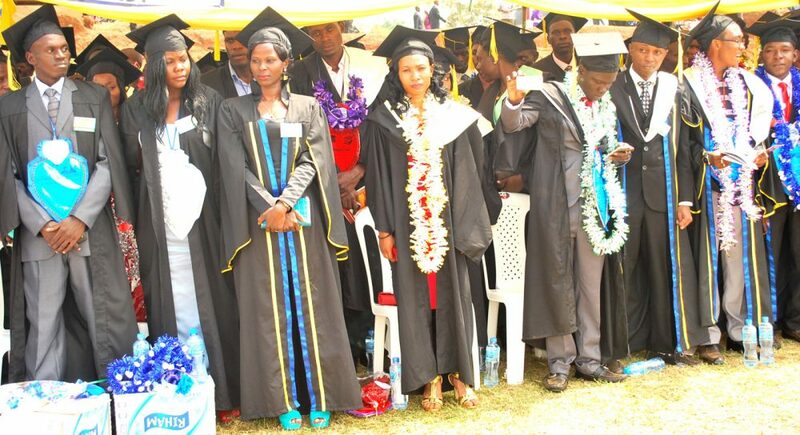 “Students have been paying a lot of money as graduation fees because they desperately want to graduate; it is unfortunate their parents have lost their money,” Kayemba revealed. Under President Museveni’s orders to the first lady who also doubles as the Minister of Education and Sports, Busoga University was to be made a public university following its closure by the National Council for Higher Education for failure to meet minimum standards like teaching accredited courses and employing qualified lecturers.